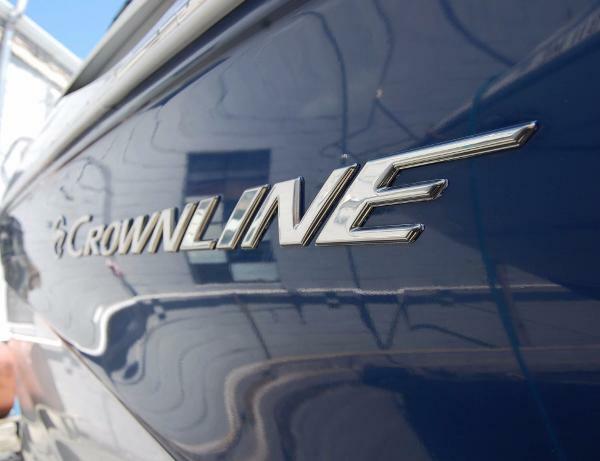 2011 Crownline 280 CR Just 70 Hours! The Crowline 280 CR is not an easy boat to find with the 26 being far more common. But the 28 is the true queen of the line with a considerable advantage in room, accommodation and performance underway. On board you'll find an integral swim platform, roomy cockpit with lots of seating and a well designed helm area to control all of the action. A narrow entry and computer-designed hull makes her both fast and stable, ideal for water sports, cruising or a just a quick run for fun in the sun to your favorite fishing hole. If you're looking for an ideal platform with an easily maintained engine and Bravo III performance, you're not likely to find anything this nice short of buying new. 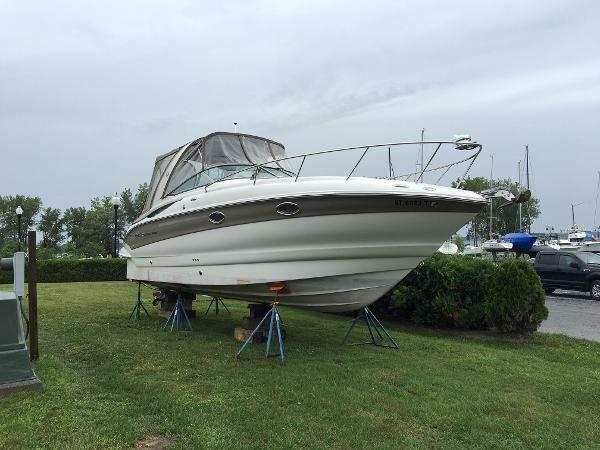 As with all of our inventory, this boat is detailed, bottom painted and surveyed. She's ready for action and at our yard on City Island. Scoop her up before someone else does! 2012 Crownline 280 CR, Here's a very clean, freshwater boat with low hours, 350 MAG MPI MerCruiser (300 hp), AC/heat, camper canvas, and lots of other options. This is a great opportunity to get into a full size cruiser that's like new. Must see to appreciate! 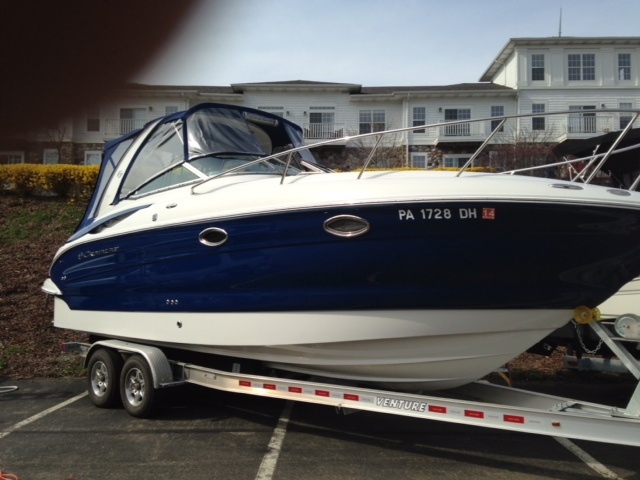 2011 Crownline 280 CR This is a great first time family cruiser for Long Island Sound or the big lakes! Loaded with amenities and comfort, the Crownline 280CR is bound to please. 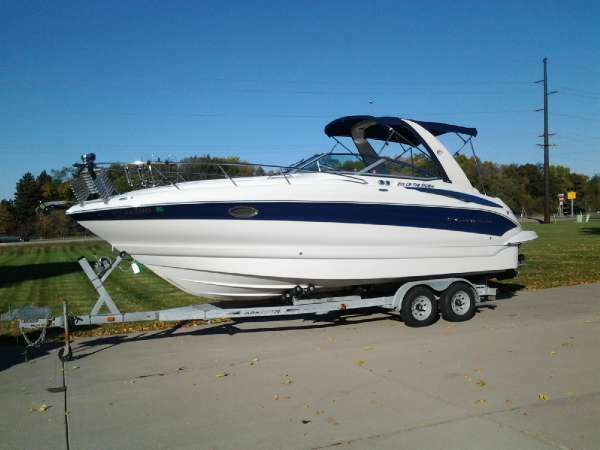 Stored indoors here at Rex Marine Center, she is new to the market and like new with only 60 short hours of use on her. Don't wait if you are looking for a great cruiser, look no further! Trailer not included but available. 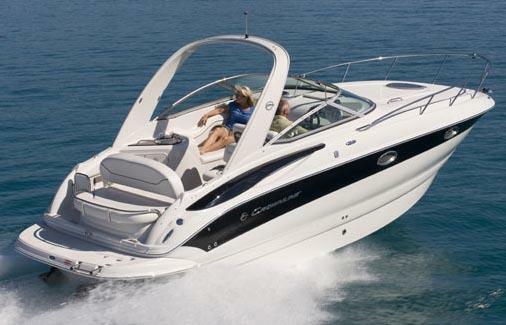 2012 Crownline 280 CR Even with all its extras, the 280 CR is one of the industry's most affordable cruisers. The helm is designed for maximum operating efficiency and the lounge area for maximum comfort and convenience. A bolstered flip-up double pilot's seat aids visibility for docking or close maneuvering. A tilt steering wheel and a rack-and-pinion steering system help simplify handling. Instruments are easy to read and controls and switches are easily accessed. 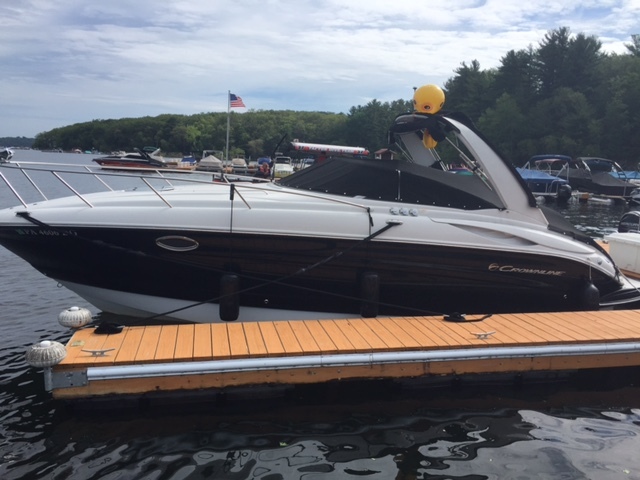 In addition to its numerous standard features, there is also a wide choice of optional equipment to customize the boat to your personal needs.